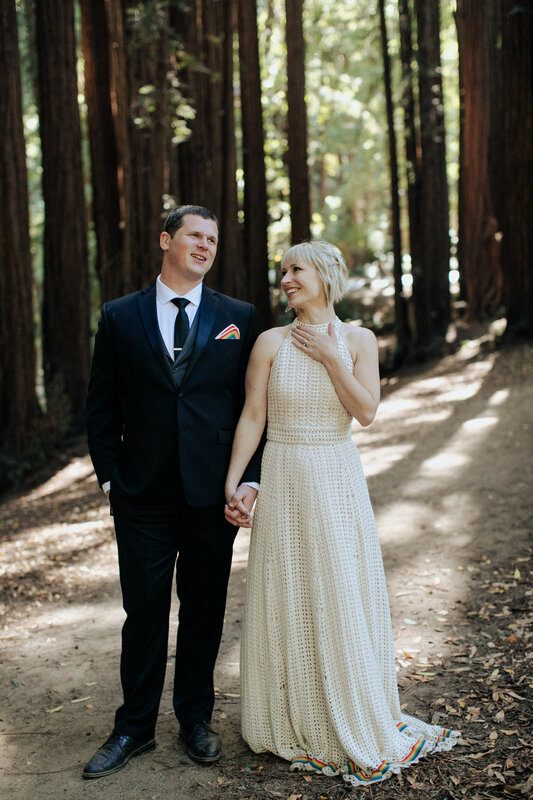 Jen & Casper were married among the redwoods and their favorite people on Saturday at Old Mill Park in Mill Valley, CA. 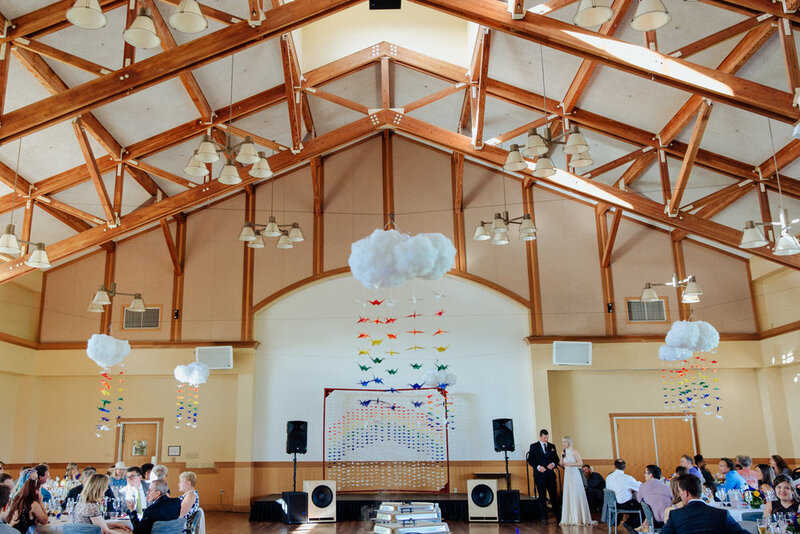 Their wedding was joyful and rainbow themed, with details like center pieces, hanging clouds & folded cranes, and handkerchiefs and necklaces handmade by Jen. As if that wasn't enough, she crocheted her own dress. It was beyond gorgeous.